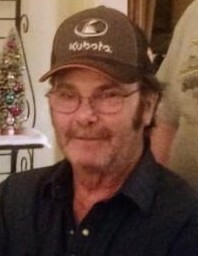 George T. Gregory, age 64, of Neenah, passed away unexpectedly on Thursday, January 24, 2019. George was born on October 21, 1954 in Appleton to the late Harvey and Elenore (Daniels) Gregory. George married Dianna Hintz on June 15, 1974 and she survives him. George was a kind man who would put other people's needs before his own. He worked at Neenah Foundry for 43 years before retiring in 2017. George enjoyed spending time up north at the cabin with family. Some of his other hobbies were fishing, snowmobiling, old cars, and watching Western movies. In addition to his wife, George is survived by his children, Thomas (Stacy) Gregory, Jacky (Fiance' Ben) Boettcher; his grandchildren, Hannah and Maelyn Gregory, Cheyenne (boyfriend Darry) Glasheen and Nicolas Boettcher. He is also survived by siblings, Betty Paasch, Beverly (Charlie) Mundt, Harvey (Diane) Gregory, John Gregory, Mary (Michael) Collar, and a sister-in-law, Mary Ann Gregory. He was preceded in death by a brother, Donald Gregory, a brother-in-law Jack Paasch, and a nephew, James Gregory. Funeral services will be held at 11:00 a.m. on Wednesday, January 30, 2019 at the Kessler Funeral Home, 304 S. Commercial St., Neenah. Visitation will be at the funeral home on Tuesday evening from 4:00 p.m. until 6:00 p.m. and again at the funeral home on Wednesday from 10:00 a.m. until the time of services. Burial will be in Greenlawn Memorial Park. For online condolences, please visit: www.kesslerfh.com.